Horses are often turned away for winter out in fields and there is less attention looking at the condition of their hooves. Horses turned away during these months will have often undergone a big change in environment, if they have been stabled prior to being turned away. The hooves will then have to adapt from being in a dry environment to a very wet one during these months. 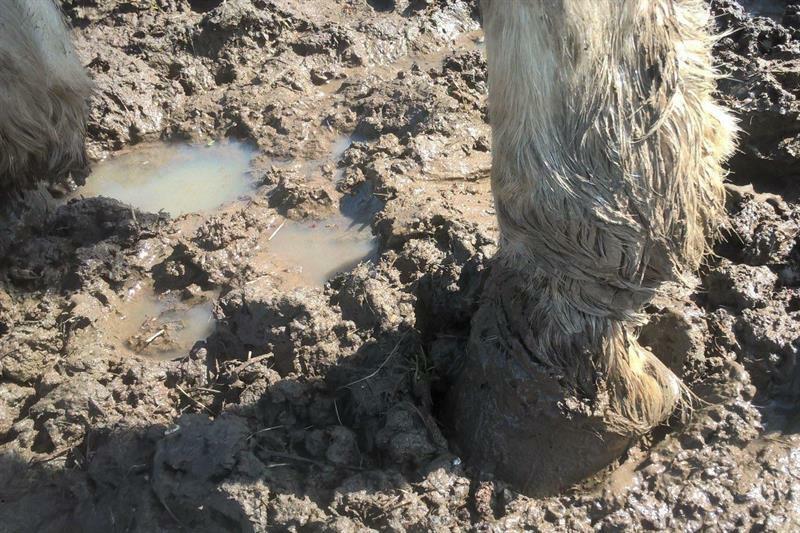 Horses standing out in damp, wet fields all day for prolonged periods will have an effect on hooves, similar to that if your nails were wet for a prolonged period, they would become very soft and weak. Read more about coping with adverse weather conditions in our April issue.